YOU MUST MAKE YOUR RESERVATIONS BY JANUARY 18, 2018 TO BE INCLUDED IN THE GROUP RATE. 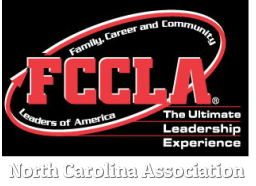 THE WEBPAGE FOR THE FCCLA CULINARY COMPETITION IS NOW ACTIVE AND YOU ARE ABLE TO BOOK RESERVATIONS ONLINE. USE THE BUTTON BELOW TO MAKE RESERVATIONS WITHIN THE GROUP. YOU MUST USE THIS LINK TO GET THE RATES FOR THE CULINARY COMPETITION. ​If you have any questions or need anything else, please don’t hesitate to contact Monica burgess! ​ PLEASE KEEP IN MIND THAT YOU aRe ABLE TO BOOK 3 DAYS PRIOR AND 3 DAYS POST TO YOUR CONTRACTED DATES, ALSO KNOWN AS SHOULDER DATES, BASED UPON AVAILABILITY. IF YOU aRe INTERESTED IN BOOKING ON THESE SHOULDER DATES, PLEASE GIVE Monica A CALL DIRECTLY AT 704-227-2810 so she can ASSIST you IN MAKING youR RESERVATION.